Only school districts on the edges of the Portland area and in the gorge closed because of continuing snow storm. Sorry kids, the weekend's snow didn't close very many schools Monday morning. Only a handful of regional school districts were closed early Monday because of lingering snow and ice. 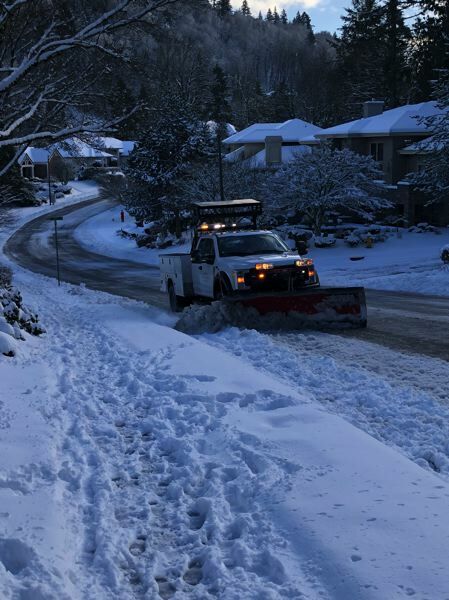 Most of the storm that blew through Saturday and Sunday dropped a lot of snow on the edges of Portland and the Columbia River Gorge, but didn't leave much in the urban area. The National Weather Service said the snow storm fizzled out and became a rain storm as warm air moved in overnight from the south. • Centennial Sch. Dist. — 2 hours late. • Gresham-Barlow Sch. Dist. — 2 Hours late. • Reynolds Sch. Dist. — 2 Hours Late. • Banks Sch. Dist. — All buses on snow routes. • Forest Grove Sch. Dist. — Opening on time, buses on snow routes for AM only. • Gaston Sch. Dist. — AM buses on snow routes. • Hillsboro Sch. Dist. — Buses in zones 1,9 and 10 on snow routes. • Sherwood Sch. Dist. — Route 3 on snow route. • Estacada Sch. Dist. — 2 Hours Late, AM/PM Buses on snow routes. • Molalla River Sch. Dist. — Snow routes for buses 2, 7, 9 (opt. C), and 10. • Scappoose Sch. Dist. — Buses 2,4,6 and 7 are on snow routes for AM and PM. • St. Helens Sch. Dist. — Buses 1, 3, 6, 8, 10, 12, 15, 16 on Snow Routes. • Newberg Sch. Dist. — AM buses on snow routes.